I talk about the good and bad in my transition, but rarely do I show the ugly. What I'm talking about are my failed hairstyles. I have tried many styles while transitioning, but I typically post the ones that actually come out nice and not the ones that are busts. I decided to share a few of my #fails! Some of these actually made it out the house and to work(oh the horror! )..I'm sure you will be able to tell which ones by the background. This is a braid-n-curl done with only 5 braids. I was being extremely lazy and knew there wouldn't be much definition. I also knew with less braids, the more shrinkage I would have. Not to mention it was muggy outside and it dropped every curl I had. I was 42 weeks post here. This is so the 80's. LOL. 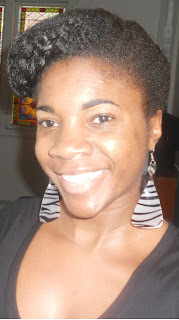 I wanted to try a side puff and it did not come out how I pictured it would. I was 36 weeks post. This is a bun, but because my hair is a little thick..it poofed up and I couldn't get that slicked back look. #ohwell I was 42 weeks post here. So..here you have it. It's not all loli-pops and roses over here. lol..I don't even think that's a real saying. You look like you could totally be Venus and Serena's little sister! I love pica 1 and 4. Pic 4 is my fav. Just gorgeous. I'm not seeing the fail. It looks so retro! aww thank you so much! I thought they were fails, but it's good to know you like them. MsD, omg your fails have NOTHING on mine lol....I see nothing wrong with any of those styles! My fails are epic lol. LOL!!!! Thanks. Your styles usually look nice, so I doubt the fails are thaaaat bad. By the way, you are so awesome with your blog. Even on things you repost you find a way to put a new spin on it. Awwww thank you!!! LOL.now you know your hair is fab, so I know your best days look 100X times better than my fails. Hope all is well!!! Oh and I am patiently waiting for an update on your hair.